Purchasing and downloading songs (and other content) from the iTunes Store is fine if you want to cherry pick content, but what if want the luxury of unlimited full-song listening in order to discover new artists, genres, and songs. In this case, the iTunes Store may not be the most suitable service for your needs and so you'll probably want to look for an alternative service. The following lmusic services all have a flexible approach when it comes to mobile devices like your iPod Touch. 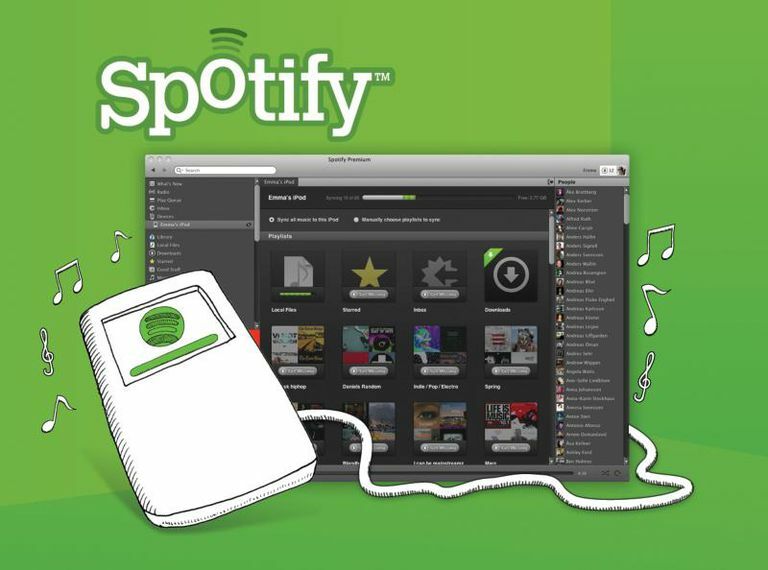 Spotify is a flexible alternative to the iTunes Store that provides a good music discovery tool for use on the iPod Touch -- as well as several other smartphone operating systems, via apps. To get started on Spotify using your mobile Apple device, consider subscribing to the music service's top level which is called Spotify Premium. This provides a smörgåsbord of unlimited music that can either be streamed or downloaded. Audio quality is also first class when listening to songs via Spotify Premium -- most tracks are available at 320 kbps. If you want your music listening experience to be uninterrupted, then you may want to use Spotify's Offline Mode which caches songs locally to your iPod Touch's storage space. This feature comes in handy for times when there's no Internet connection or you need to preserve your broadband data usage. One of the unique features of Slacker Radio is that you can listen to whole music stations using your iPod Touch -- either by streaming (just like Internet Radio) or by storing the music stations directly on your Apple device's memory. Most subscription based music services charge for the luxury of mobile music, but Slacker Radio offers this for free -- negating the need to pay first for a test drive. To keep this part of Slacker Radio free, the company has implemented an ad-supported model and restricted listening to a maximum of 6 song skips in any one station (every hour). However, you can always move on to another station if you hit this limit, or better still, subscribe to eliminate these restrictions altogether. If you like your music unlimited and served-up in radio fashion (crafted by professional DJ's), Slacker Radio presently gives you two mobile music subscription choices -- namely: Slacker Radio Plus and Slacker Radio Premium. The first one gives you unlimited radio station listening and caching of stations to your iPod Touch. If you want more granular control, then Slacker Radio Premium is the one to go for. This enables you to listen to certain songs and albums on-demand, or cache them to your iPod Touch's memory -- you also get the option to create and sync your own custom playlists too.